This edited volume consists of thirty three articles contributed by thirty-eight authors emphasizing on the issues relating to Competitive Federalism in India: A Recent Trend, Restructuring Indian Federation: A Hybrid Political System, Voting Behaviour in Indian Federation, Centre-State Relations: The Theoretical debate, Concept and Practices of Cooperative Federalism in India, Tension Areas of Indian Federalism in Recent time, Administrative and Financial Reforms and its Impact on Indian Federation, Role of Judiciary in Restructuring the Indian Federation, Local Self Government in the Context of Emerging Trends of Indian Federation, Women Empowerment, Democracy and Indian Federation, Major Policies: Education, Health, Environment, Make in India, Digital India in the Context of Emerging trends of Indian Federation, Central sponsored schemes: Its Implications and significance on Indian federation, Participatory E-Governance and its impact on Indian Federation, Non-Governmental organizations in Indian Federation, Re-look on Feminism: A Study on Indian Federation, Women Participation, The New Challenge and Prospect of the Village Parliament in Our Federal Structure, Federalism, Institutionalization and Breakdown in Modernization etc. Jitendra Sahoo is currently working as an Associate Professor and Head, Department of Political Science, University of Gour Banga, Malda, West Bengal from January, 2016 and formerly Head, Department of Political Science, Dewan Abdul Gani College, Harirampur, Dakshin Dinajpur, West Bengal from June, 2003. He has obtained M.A. in Political Science and Public Administration, M.Phil. and Ph.D. from Utkal University, Vani Vihar, Bhubaneswar, Odisha. 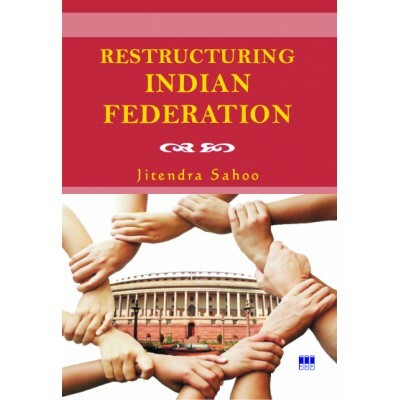 He is actively engaged in research work, participated and presented papers in various National and International Conferences, Seminars and published a number of Articles in various National & International Journals and chapters in two Edited Books like Federalism and Tribal Development in India: Dimensions and Initiatives from ICFAI University press, Hyderabad and a number of Articles in other Edited Books. 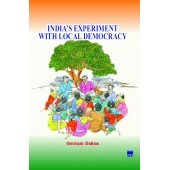 To add to it, he has co-authored Books Tribal Development (2008) & Political Theory (2011). 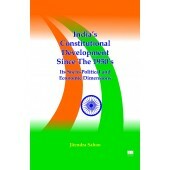 Lastly, he has Edited Books named India's Constitutional Development Since The 1950's: It's Socio-Political and Economic Dimensions (January, 2015) & India in Globalised Era (May, 2015) from New Academic Publishers, New Delhi; Indian Federalism: The Recent Experiences (March,2018) from Levant Books, Kolkata. His interest of Research areas are Governance at Local and National Level, Public Administration, Society and Politics etc.